If you currently use electric heat in your home, specifically baseboard heaters, or are replacing an aging heating system, going ductless might be the smartest decision you can make for your comfort and for your pocket book this year. What is the Average Cost of Installing a Ductless System? The average cost of an installing a ductless system with a single indoor heating/cooling zone is between $4,000 and $5,000 - including the equipment, parts, expert installation services, and associated electrical work and permits. 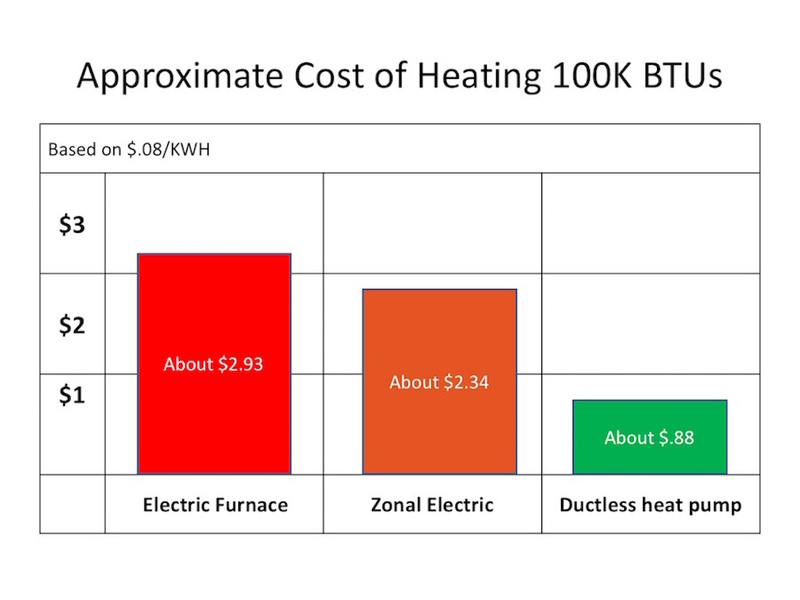 This cost is similar to the total estimate of installing baseboard heating systems, and though both systems provide zoned heating in your apartment or home, the similarities between the two end there. How much can I save by going ductless? Customers that install a new ductless system see a major reduction in their heating costs throughout the year, often saving 25%–50% or more on monthly heating bills during the cold winter months. Ductless systems also provide cooling during the summer, making them an incredibly versatile choice for PNW homes. When maintained, your new ductless system can last up to 20 years or more. We are busy reading your request right now. You can expect us to reach out by phone or email within 24 hours.